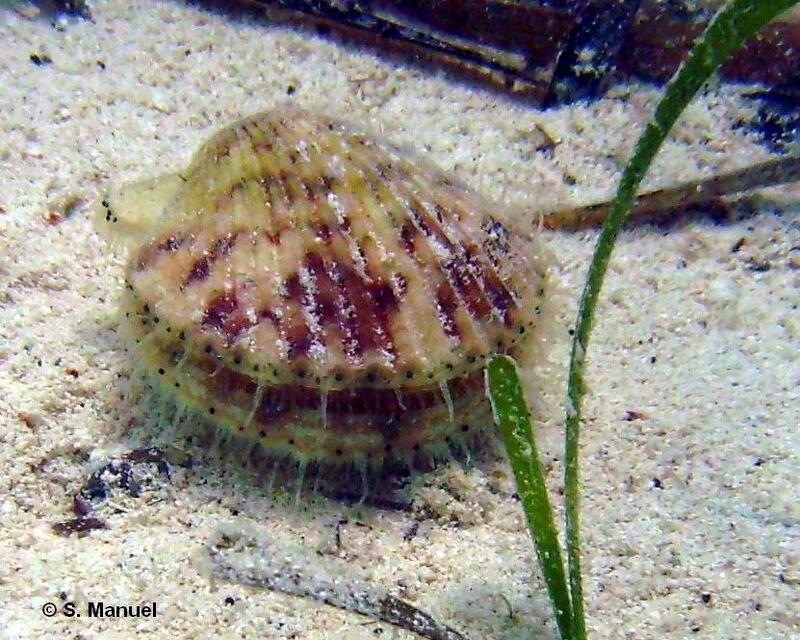 The Calico Scallop is a marine bivalve (a shell with two halves) which inhabits sandy bays and harbours and seagrass beds around Bermuda. Calico Scallop in Harrington Sound. The Calico Scallop is protected by law in Bermudian waters. This species is listed as a Level 2 protected species under the Protected Species Act 2003 (Protected Species Order 2012). The penalty for harvesting or harming a Level 2 protected species is a $10,000 fine or 1 year in prison.